My tip today is to protect the valuables you already have. 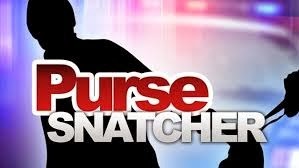 I've heard numerous stories lately about purse snatching in grocery stores and parking lots. Make sure you always keep your purse with you. Don't keep it in the baby seat of the shopping cart. If you do, you risk losing your purse when you turn to get something. Also, don't leave it in the shopping cart or front seat of the car when you load up your groceries. Someone may drive by and grab it out of your cart or take it out of your car when you're not looking. Another thing going on a lot lately are purses and wallets being stolen from gas stations while you are pumping gas. Always lock the passenger side door and don't leave valuables in site when pumping gas. Just make sure you are always alert and keep your valuables safe. It's hard enough to make ends meet nowadays without having your wallet and credit cards stolen. It's a terrible thing I hope none of you have to experience. Go out today, be safe and get a great deal!